Welcome to Cualann Scottish Books! We aim to showcase the best of Scottish writing, and promote the Scottish publishing industry at the same time. 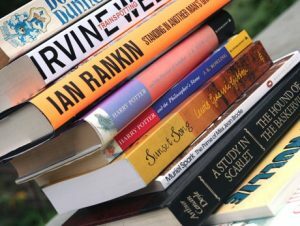 Scotland has a long history in the publishing industry, and with names such as Canongate and HarperCollins, Scotland is already well and truly established, and many have already realised the importance of Scottish writing. With many top-selling books having been published first in Scotland, the standard has already been set. Canongate published ‘Life of Pi’ by Yann Martel, and helped to make the public aware of Barack Obama, before he became president of the US. How do you compete with the best-selling Booker Prize winner of all time? Or the memoirs of a politician that sold very, very well, even before he became well-known? The truth is that this is easier than most people think. There is so much writing talent in Scotland, that there is no reason for any Scottish publishing house to run out of things to publish. Our site recognises that the industry is working hard to make sure that Scottish voices are heard. Glasgow and Edinburgh have become major centres of the publishing industry in Scotland, and Scottish publishing houses are supported by the work of Publishing Scotland, a trade body that offers training and assistance to anyone within the publishing industry, and there are funds available for those who want to develop further business abroad. Scottish books are widely available, but many do not realise that they are written by Scottish writers – we aim to change all of that.